Wine aficionados and collectors, who have the budget and love for their wines, prefer to invest in a California wine cellar. Some have numerous wine cellar racks which are usually made of wood, as it can be formed in various designs. Wood also does not affect the quality of wine placed inside the wine cellars, especially when there is a functional wine cooling system in use. Aside from wood, wine racks can also be made from metal. Metal is a favorite material used in wine racking by wine cellar builders. Let’s find out why. Metal wine racks allow bottles to be stored with labels facing up for easy location of a certain vintage. 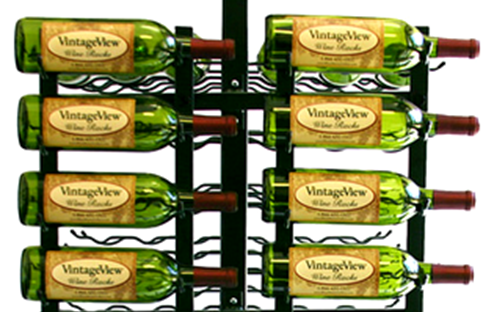 Vintage View metal wine racks are the most trusted brand of this type of storage. Metal wine racks are known for their durability. They don’t easily break as long as they are built properly. The material does not easily rust and can be used for a long time. They are also easy to clean and don’t take much for their natural beauty to come out. Metal is a versatile material. It can be formed into various shapes and designs depending on the wine collector’s preference. Because of this, metal wine racks easily fit in limited spaces. Collectors who have a few bottles in their collection prefer to use custom metal wine racks that stand on the floor or can be mounted on the wall. Collectors and homeowners can choose a design that can match the style of their home, allowing the metal wine rack to blend beautifully with the rest of the furniture and fixtures. For commercial wine cellars, metal wine racks are in demand because of the eye-catching appeal and modern feel that they provide a commercial or hospitality wine storage space. Wine cellars can be constructed with metal wine racks and glass walls and doors to create a cozy ambiance. A good example of this wine cellar can be found at http://www.winecellarsbycoastal.com/commercial-custom-wine-cellars-orange-county-capital-seafood.aspx. From the beginning, it is wise to analyze and decide what kind of metal wine rack one prefers. It can either be floor-standing or wall-mounted. The design of the metal wine rack should also complement the theme, color scheme, and decor of the rest of the room or house. Make sure, too, that one will not be changing home style and design for a few years to maximize utility of the wine rack. Ensure that the metal wine rack is designed in such a way that it has the proper support and balance for the bottles and ends, and connected parts are properly welded. It is always prudent to set a limit or budget to the amount of money you are willing to spend. It is also advisable to look around at several suppliers before buying one to be sure that you get a good bargain. Metal wine racks are just one of the many racking options one can avail of. It largely depends on the wine collector’s preference and objective in using racks made of metal. It is a piece one can showcase on its own and is sure to acquire admirable looks and comments from guests. Wine Cellars by Coastal is a top-notch California wine cellar builder. They offer metal and wooden wine racks of various designs and sizes to fit every client’s specific requirements. 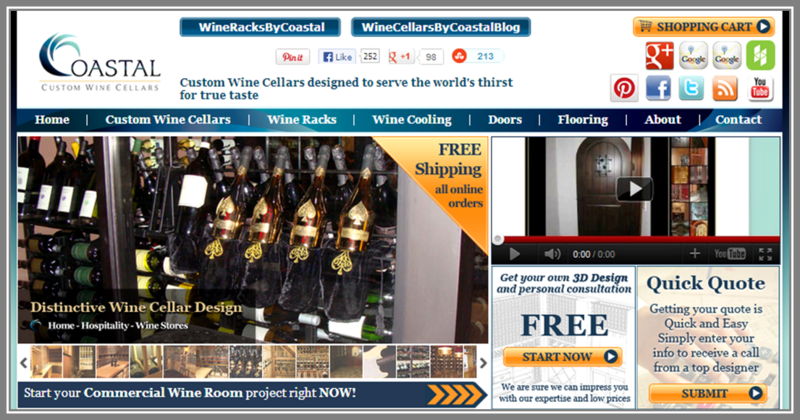 Check out their website at http://www.winecellarsbycoastal.com/. 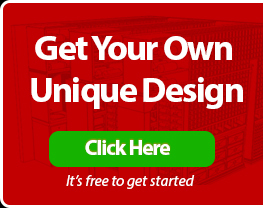 Click here to get a FREE 3D wine cellar design package.